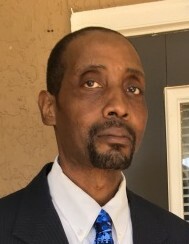 Mr. John Anthony Anderson, age 55, of 3000 Rise Drive, Morrisville, departed this life Friday, January 11, 2019. Memorial Service, 3 PM, Sunday, January 20, 2019, Henderson Grove Baptist Church, 2806 Page Rd, Morrisville, NC 27560. Survivors; daughters, Antoinette McLaughlin and Anita McLaughlin both of Stroudsburg, PA; sons, Q'mani and Amani Anderson both of NY; sisters, Jeanette Anderson and Melda Anderson both of Bronx, NY; brother, Jerome Anderson (Emily) of FL; 3 grandchildren and a host of other relatives and friends.